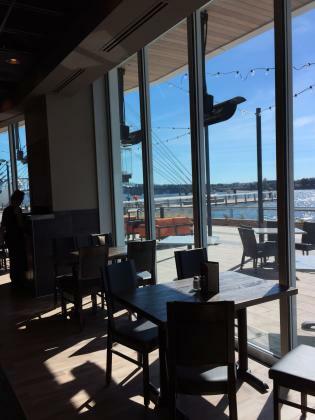 After a decade of planning and months of eager anticipation by local foodies, Vancouver&apos;s new restaurants are officially open at The Waterfront. Here&apos;s what you need to know! 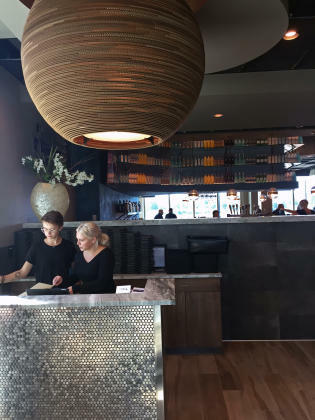 The 200-seat WildFin American Grill hails from Issaquah and boasts a menu laden with the riches of the sea. Inside, the vibe is decidedly laid back and boisterous, with touches of industrial design and Northwest-inspired artwork adorning the chef&apos;s counter, dining room, and bar. 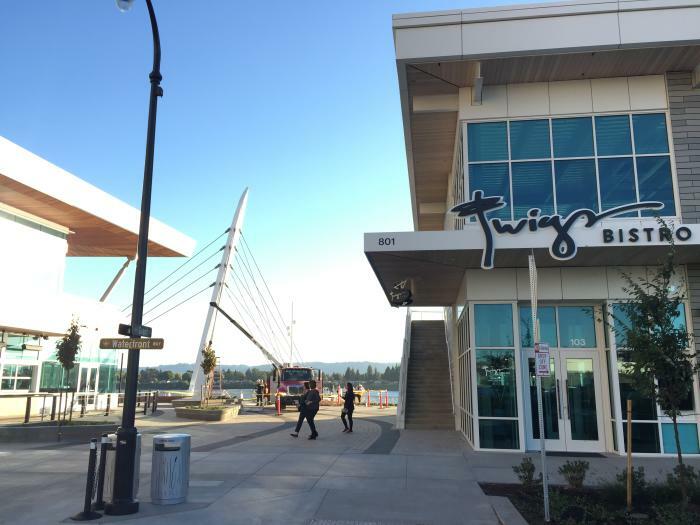 Across the pier, Spokane-based Twigs Bistro and Martini Bar can seat up to 250 hungry denizens in its sleek and sparkling space. 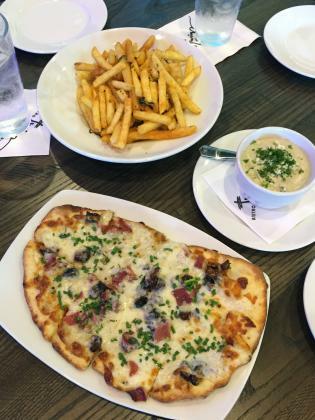 Menu highlights include artisan flatbreads, bountiful salads, elevated burgers, and signature cocktails. Reservations for both can be made on OpenTable. 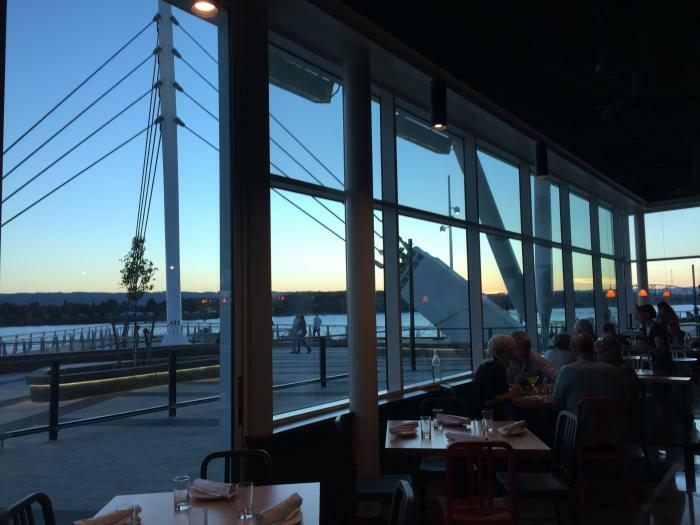 While the two restaurants each boast a distinct look and atmosphere, they share a strikingly modern setting, diverse menu choices, and prime locations on the Columbia River. 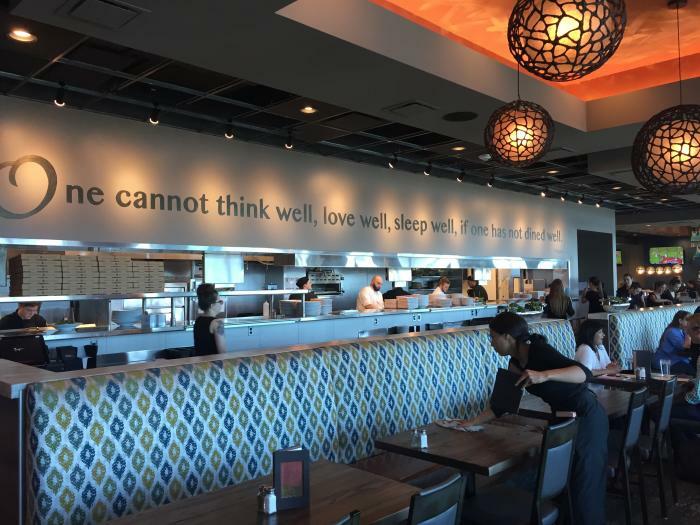 Take a look inside and get a feel for these new additions to The Couve! Head down Grant Street towards Waterfront Way. The area is accessible via C-Tran, and parking is available in nearby surface lots. Cyclists and pedestrians will appreciate the easy access from Downtown Vancouver. 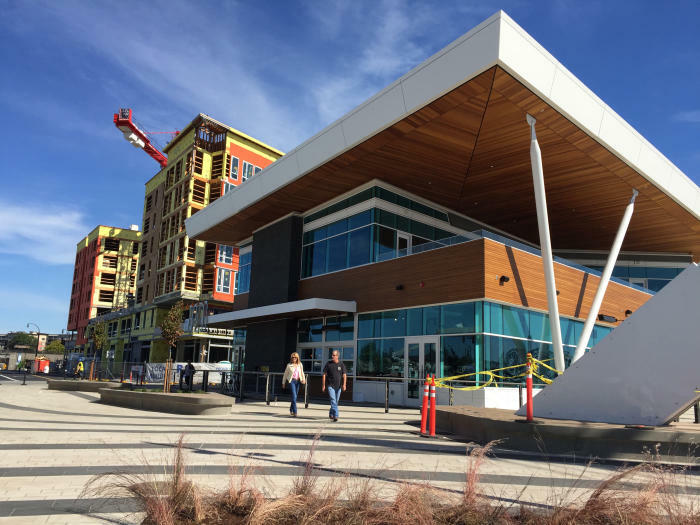 The buildings feature a stunning design that evokes elements of Nordic architecture, with expansive floor to ceiling glass windows and warm Pacific Northwest wood tones. 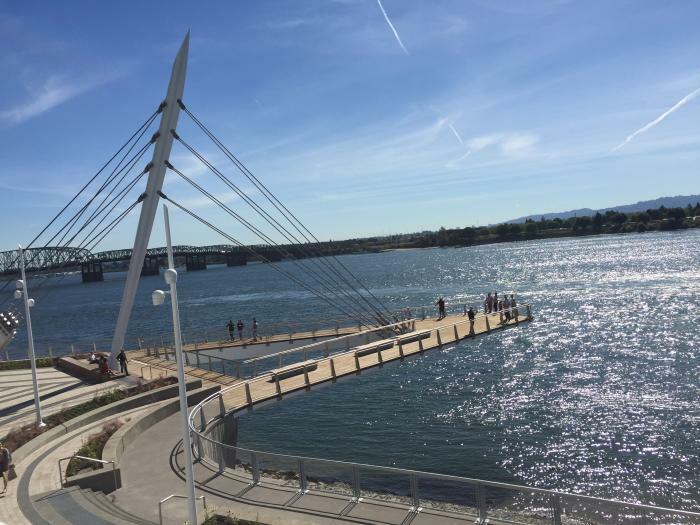 Nearby, Grant Street Pier billows out 90 feet over the Columbia River like the sail of a passing boat. Come early or stay late to enjoy the trails and green space of Vancouver Waterfront Park before or after your meal. 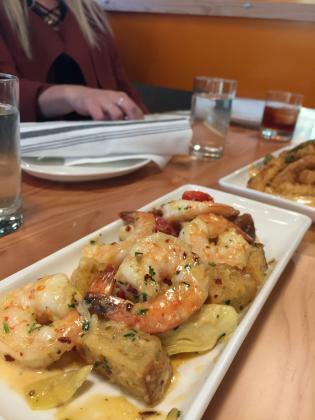 Walking into WildFin will transport you to a modern seafood market. 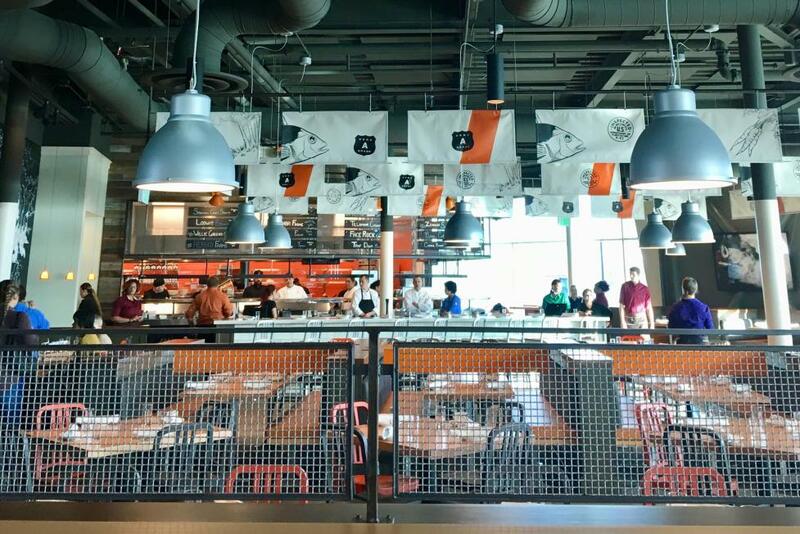 Menu specials and local farm suppliers are listed on chalkboards above the chef&apos;s counter. 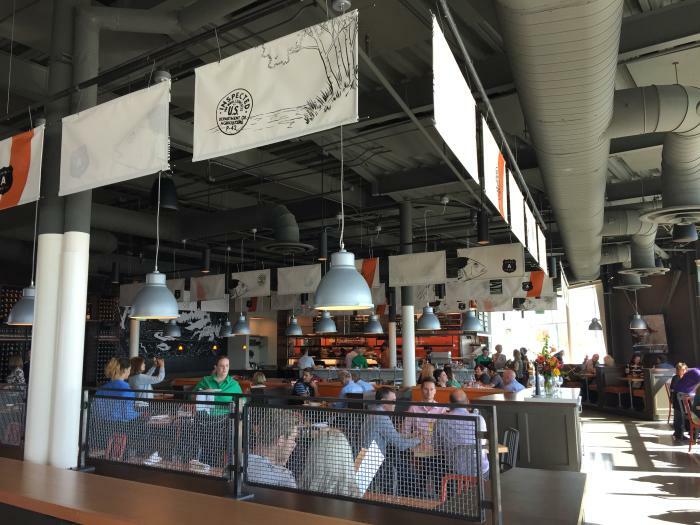 Bright pops of orange and decorative flags infuse the industrial space with a hip sense of PNW character. 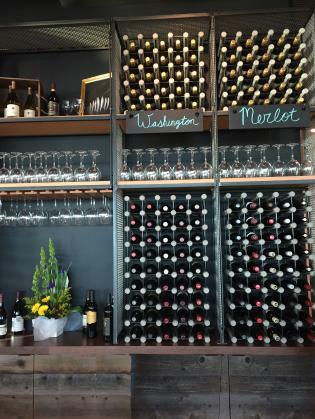 Vino lovers will appreciate the extensive wine list, which includes barrels on tap from select Northwest wineries. 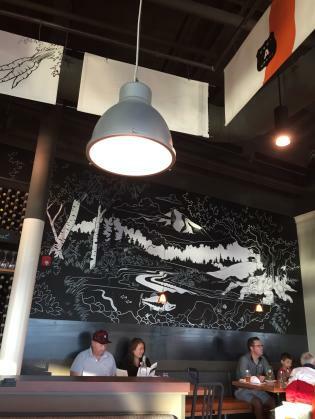 Thoughtful touches throughout liven the walls, like this mural of Mount Hood. Over at Twigs, Virginia Woolf leads the charge with an iconic quote embodying the restaurant&apos;s mission to ensure guests have dined well. 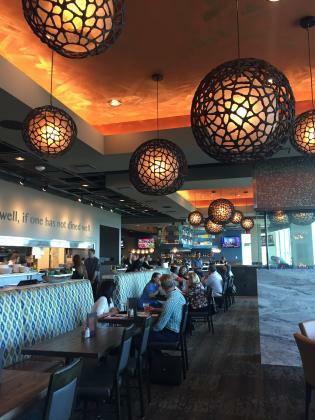 Expansive booths mean your squad can snag a table during your next group outing without breaking a sweat. The lighting at Twigs deserve a special shout out. From the moment you walk in the door, it truly impresses. Dozens of hanging orbs—all of different styles and sizes—are suspended throughout the dining room and bar. The restaurants may look beautiful, but the real art is the food on display. 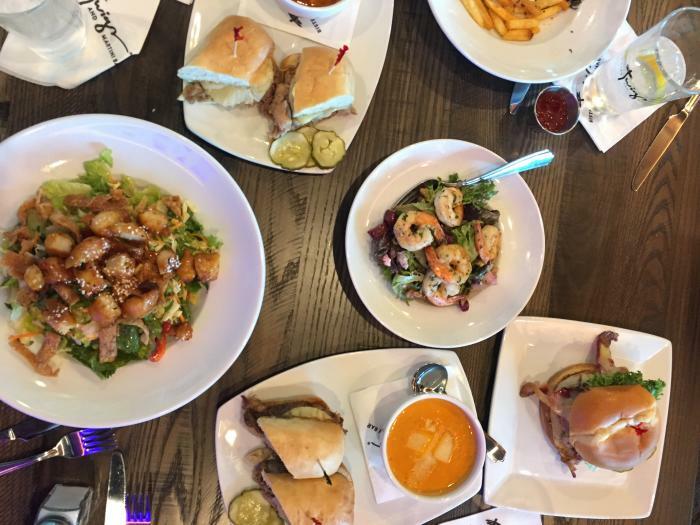 WildFin boasts a smorgasbord of freshly harvested creations and sustainably caught seafood selections. 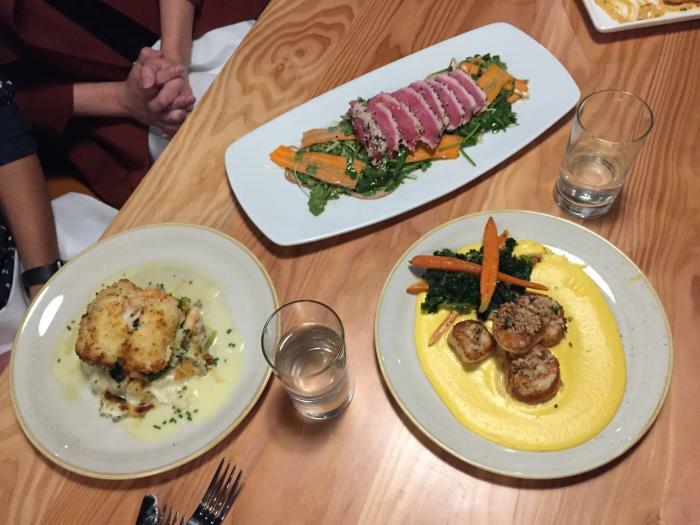 The Seared Ahi Tuna Salad is light but filling, and the Diver Scallops with Cauliflower Puree are a delicate treat. Of course, we know what seafood fans are really after: the indulgently rich Snow Crab Stuffed Roasted Cod. 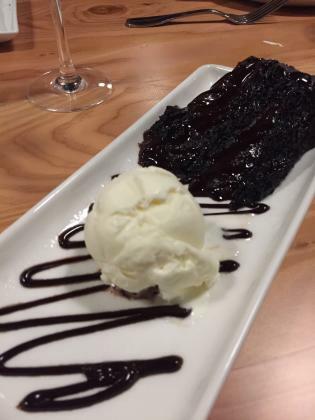 Don&apos;t get too far ahead of yourself though—start with the appetizers (think: garlic prawns, calamari steak, and jalapeño cornbread), and who can say no to chocolate cake for dessert? 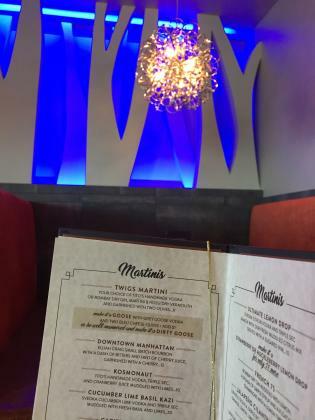 Over at Twigs, the appetizers also can&apos;t be missed, but the restaurant&apos;s lineup of signature martinis steal the show. Pro-tip: Martinis are $2 off during Happy Hour, which happens on the daily from 3 p.m. to 6 p.m. and 9 p.m. to close (same hours for WildFin). As your meal progresses, you may find yourself ordering a few more plates than you intended, and that&apos;s perfectly OK. Leftovers are never a bad thing, right? Especially when they consist of tasty dishes like Orange Chicken Salad or a Chicken Bacon Avocado Sandwich. You&apos;ll likely be stuffed from all you ate, but sit for a few minutes and take in the stunning view. 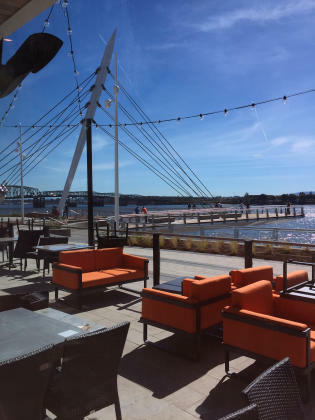 The patio at Twigs is prime territory for basking under an unbelievably blue sky and watching the people go by, especially with comfy outdoor couches and space heaters for chilly evenings.